Meet the new MF 14mm F2.8 lens for Nikon Z Mount. The MF 14mm F2.8 has been a long time favorite for wide angle photographers around the world. 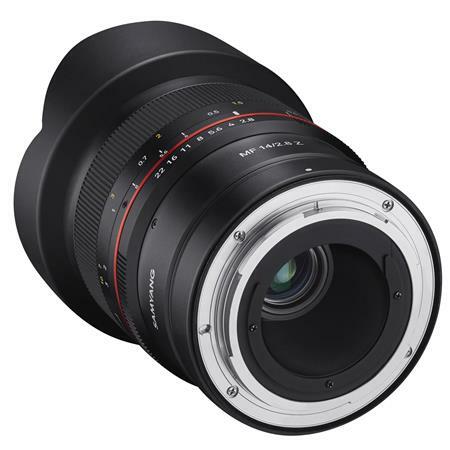 The MF 14mm F2.8 is Samyang’s best seller with its wide angle of view, high resolution, sharp images, and vivid colors. Paired with the light Nikon Z mount mirrorless cameras, you can enjoy your photography anytime, anywhere. The new SAMYANG 85mm F1.4 full frame lenses built for the Nikon Z mirrorless system. Samyang AF 14mm f/2.8 Lens for Nikon F Coming Soon!